We went to a lovely birthday party in Brooklyn a couple weeks ago for a pair of the sweetest five-year-old twins you’re ever likely to meet. 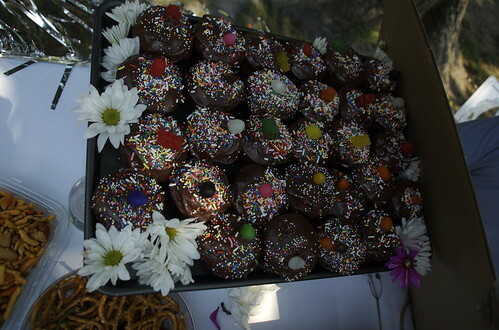 Instead of a big production of a cake, their mom made these scrumptious cupcakes and let the girls do all their own decorating with sprinkles, jelly beans, and gummy bears. Tomas and the twins’ dad (with some help from Bjørn, too) carried the platters full of cupcakes from their apartment to the park and every single person they passed — literally, every single person — commented on how delicious they looked. The girls were so proud! My friend also made these daisy crowns, which the girls refused to wear, but I had to share here because they were so lovely. Simply constructed, by winding florist’s tape from stem to stem. 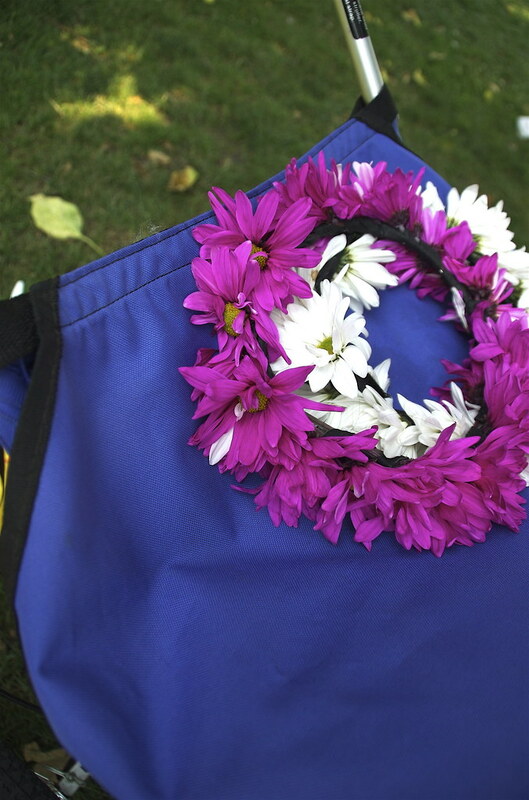 The wreath of daisies is so pretty! I can’t believe the girls wouldn’t wear them!